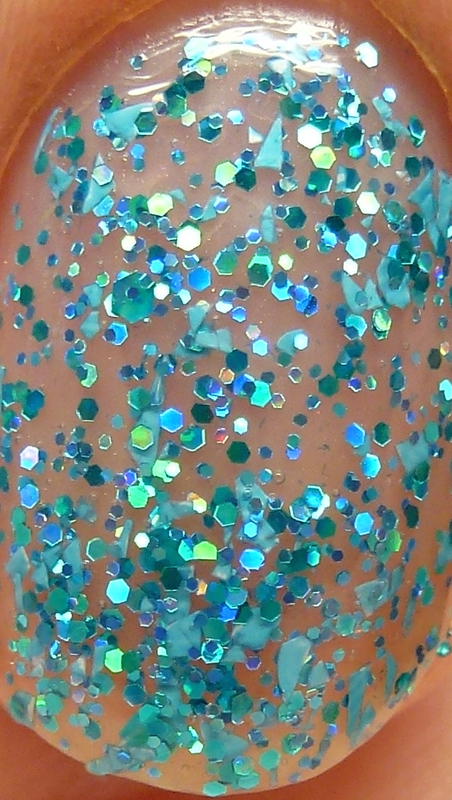 Blue Hawaiian features aqua holographic hex glitter and light blue shard glitter. 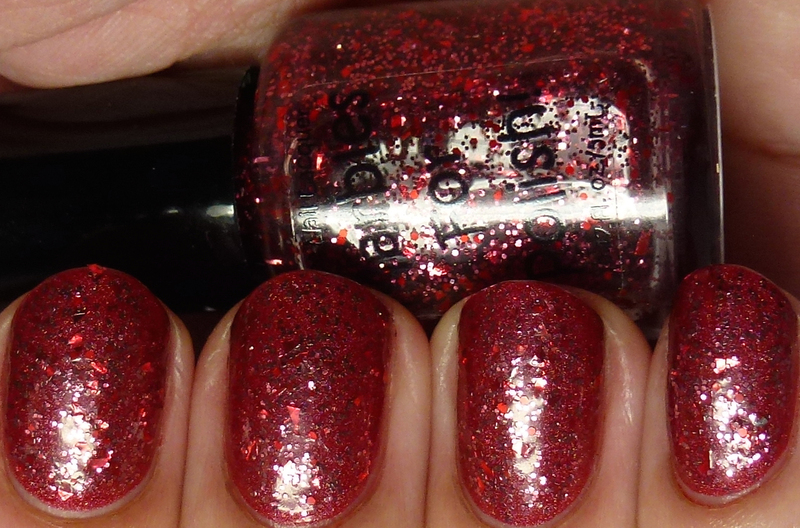 This is four coats on its own. 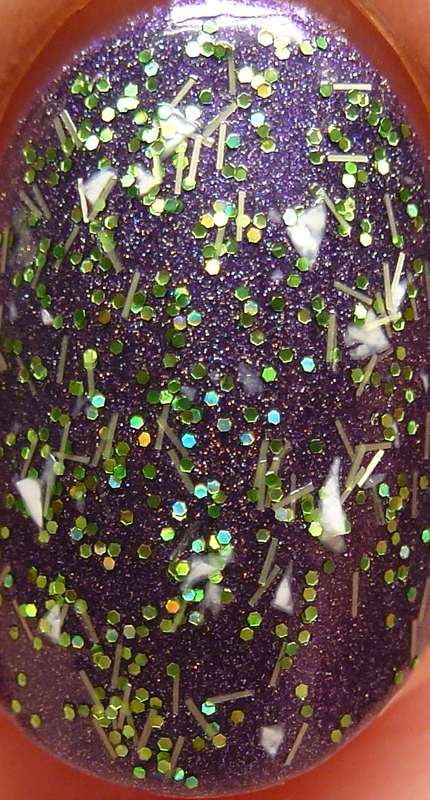 Here is one coat of Blue Hawaiian over Marbles For Polish Ghost. 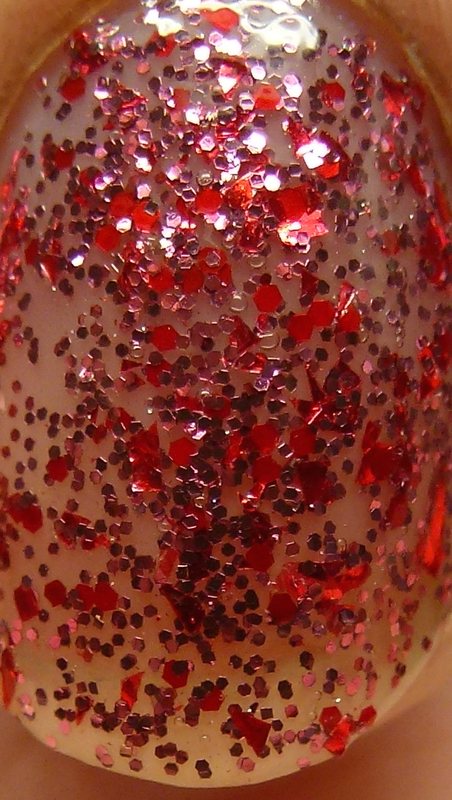 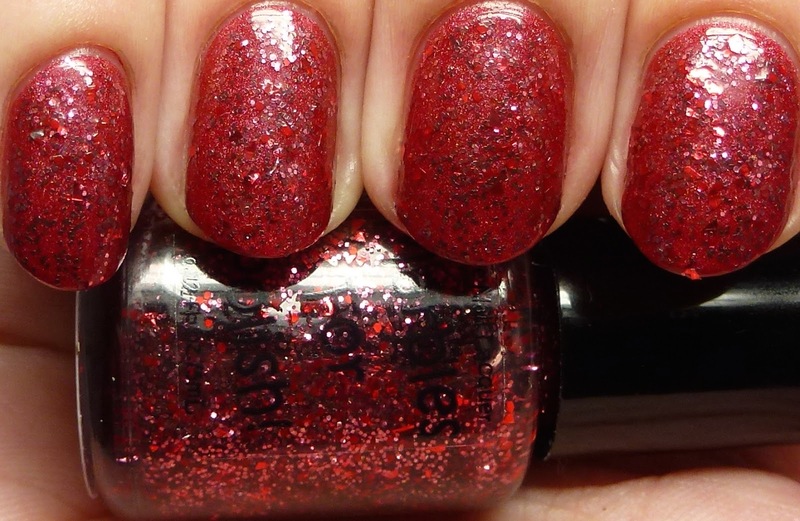 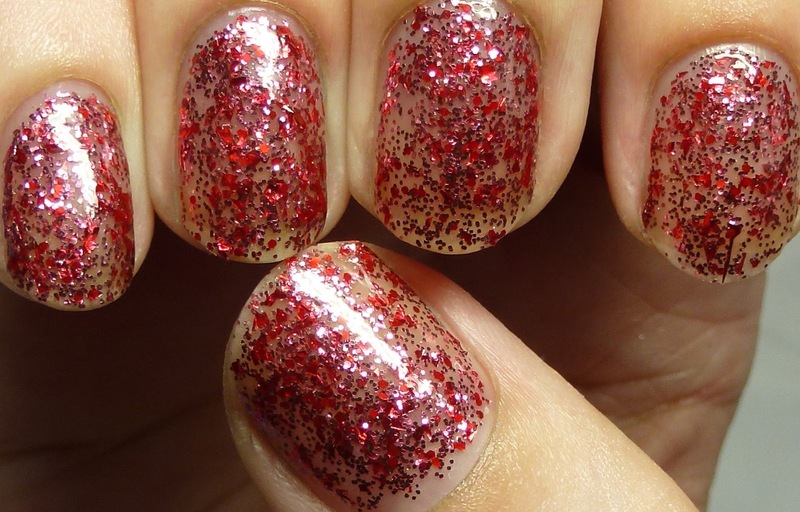 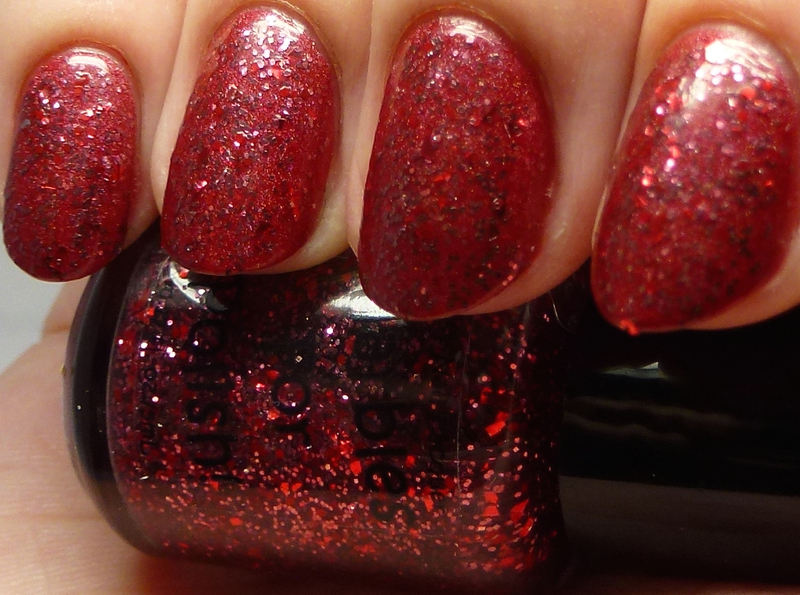 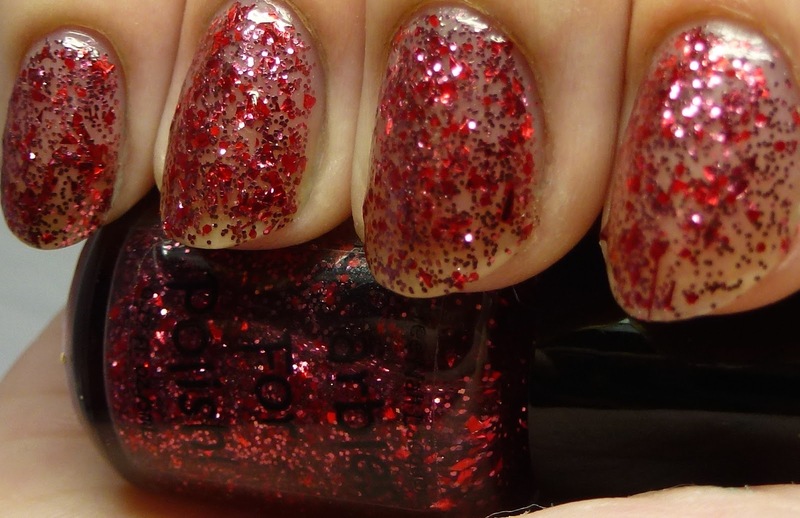 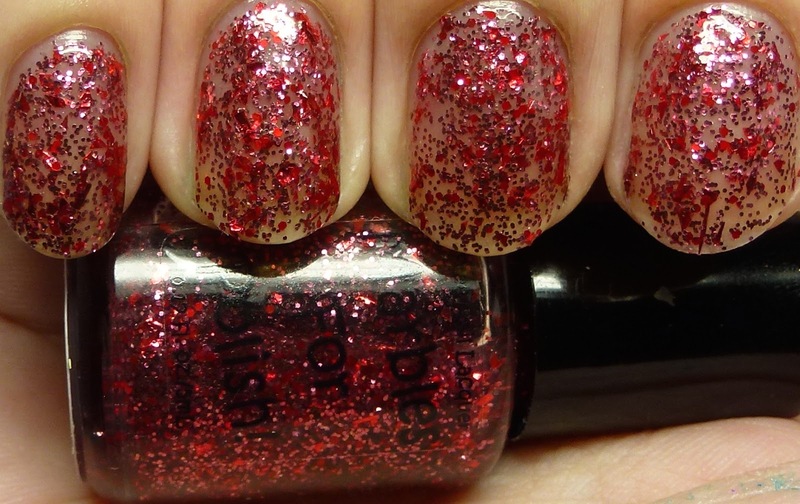 Cosmopolitan has red and cerise hex and red shard glitter, again four coats on its own. 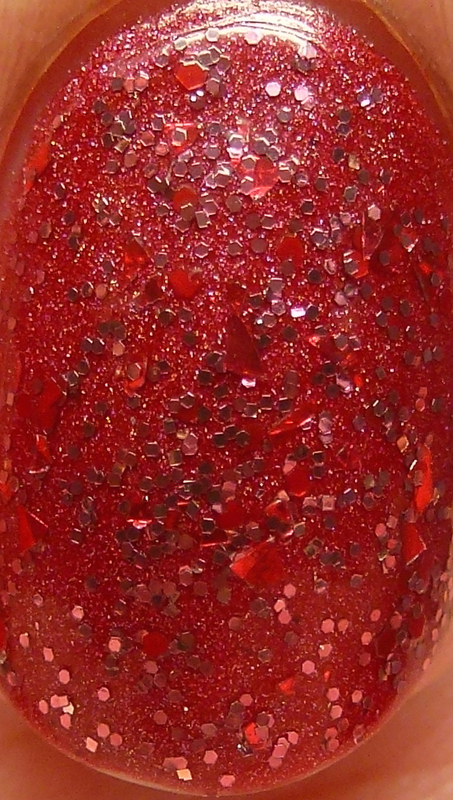 This is one coat of Cosmopolitan over Marbles For Polish Scarlet. 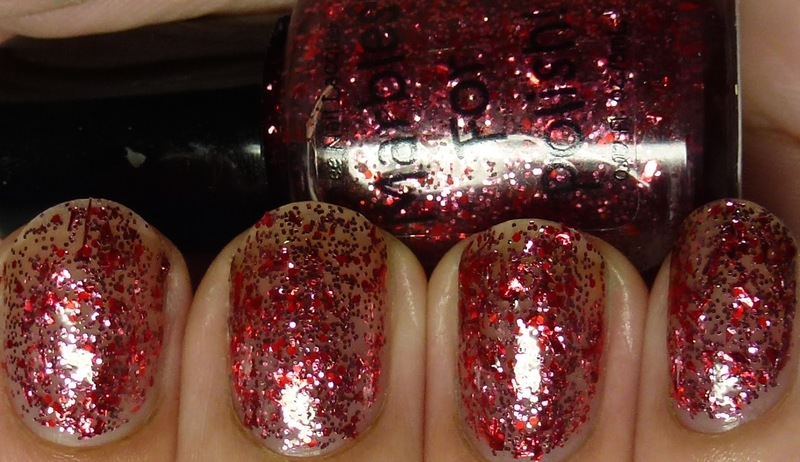 I particularly loved this combo! 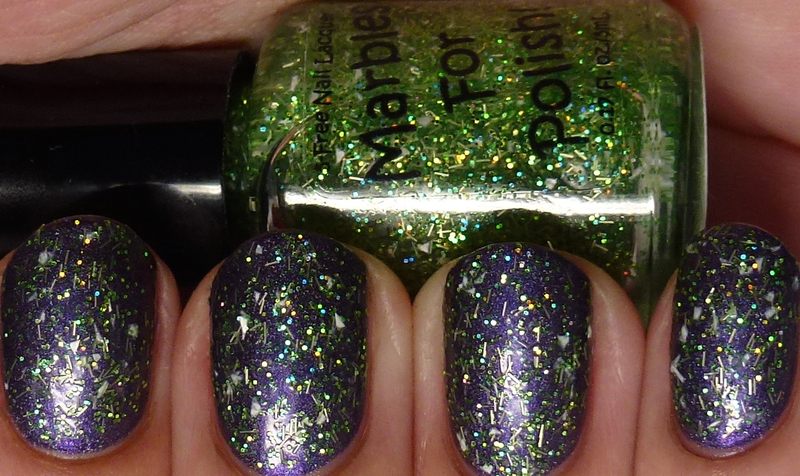 Here is Margarita on its own with four coats. 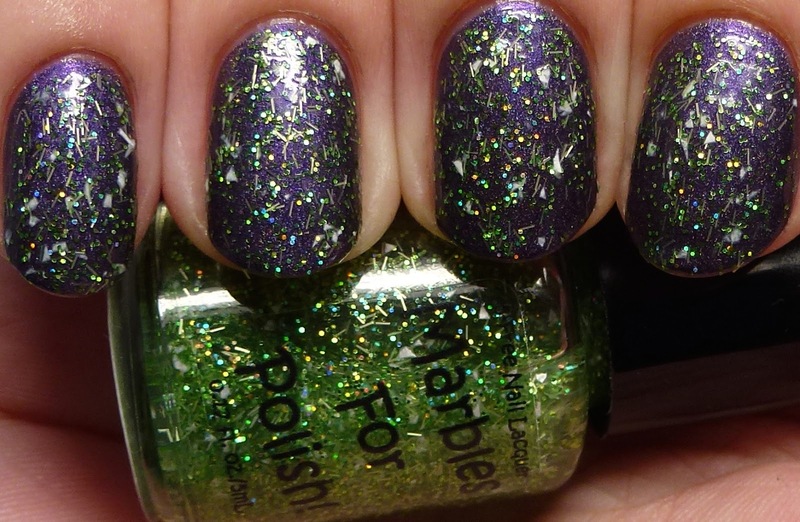 This has white matte shard glitter, granny smith apple green matte micro bar glitters, and light green holographic microglitter. 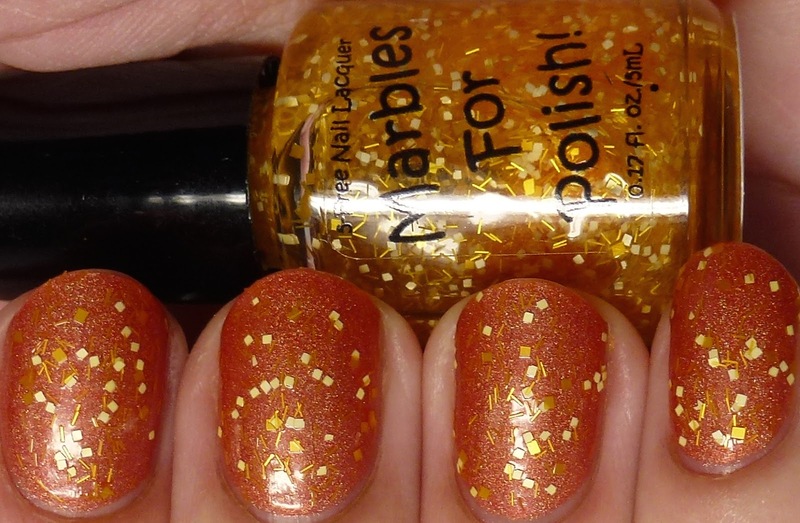 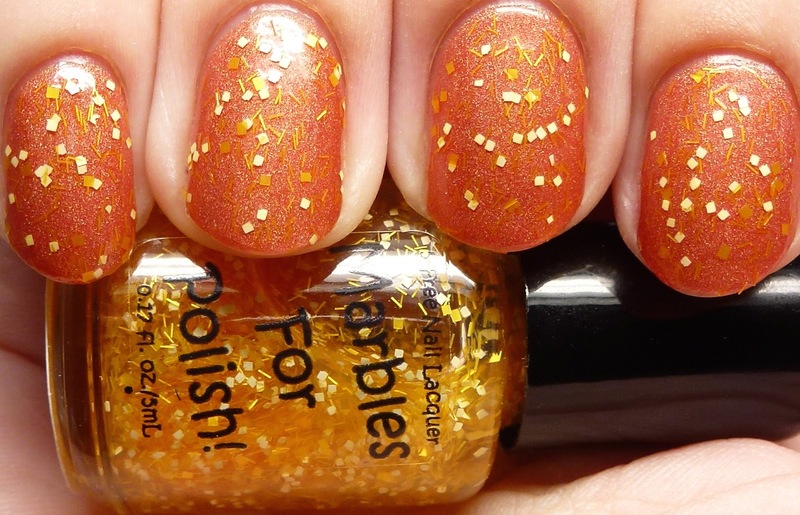 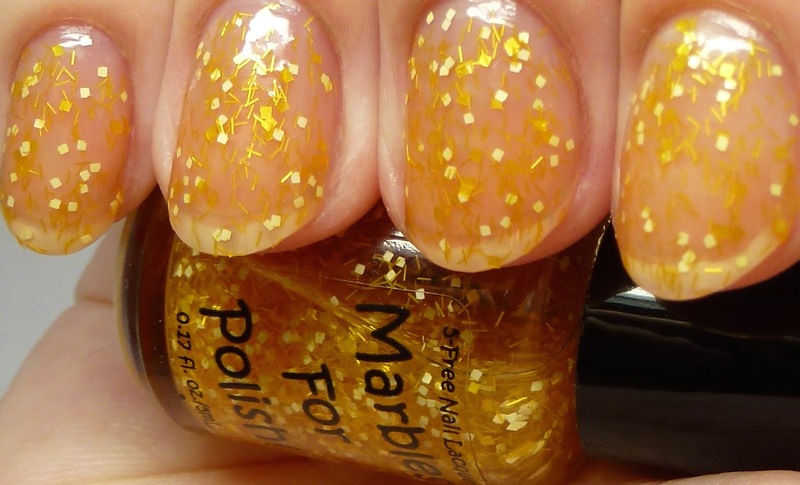 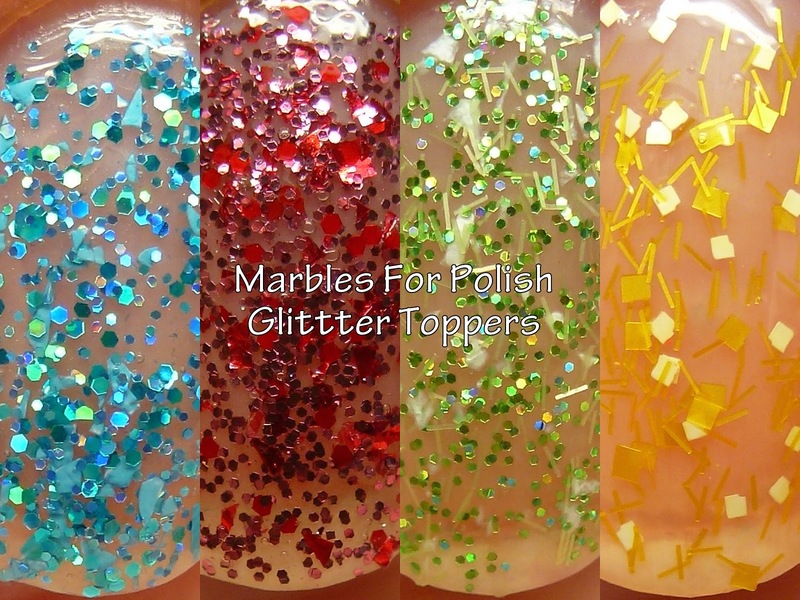 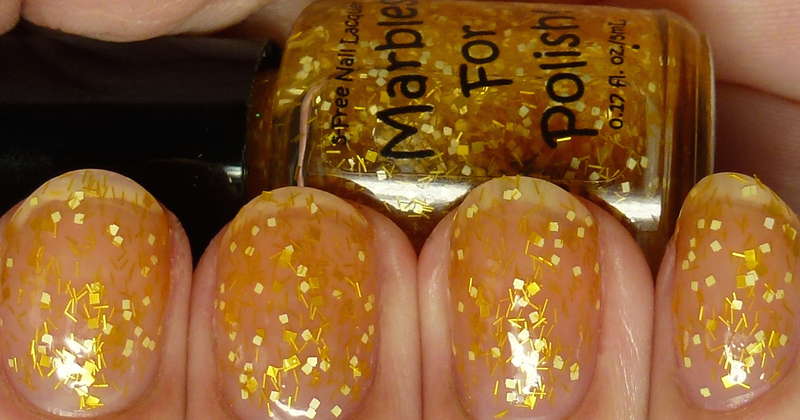 Margarita is shown here in one coat over Marbles For Polish Sentinel. 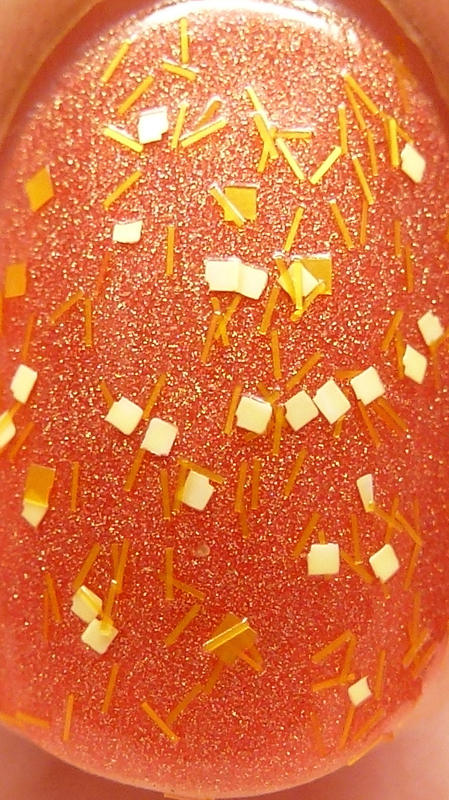 Mimosa was a bit less concentrated than the others but you can still get plenty of glitter on your nails. 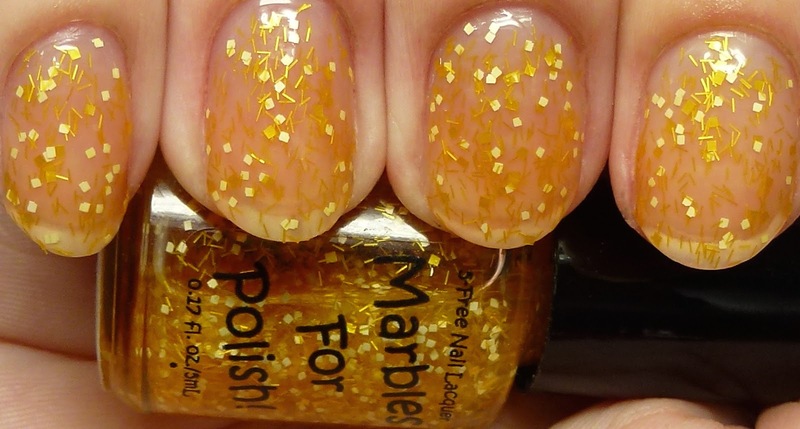 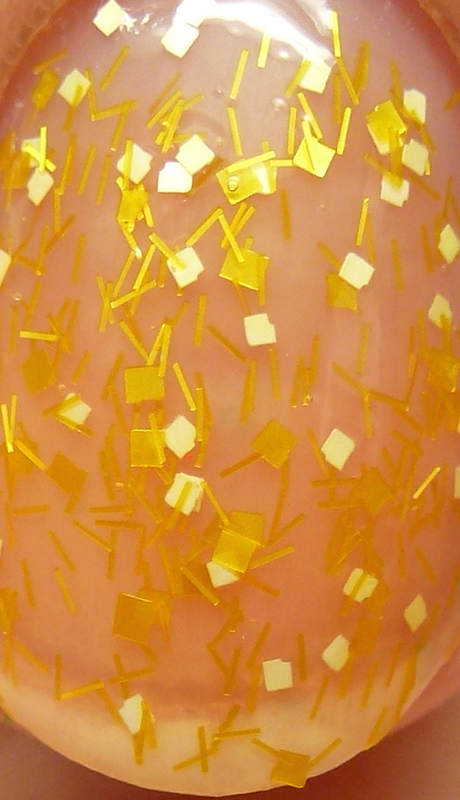 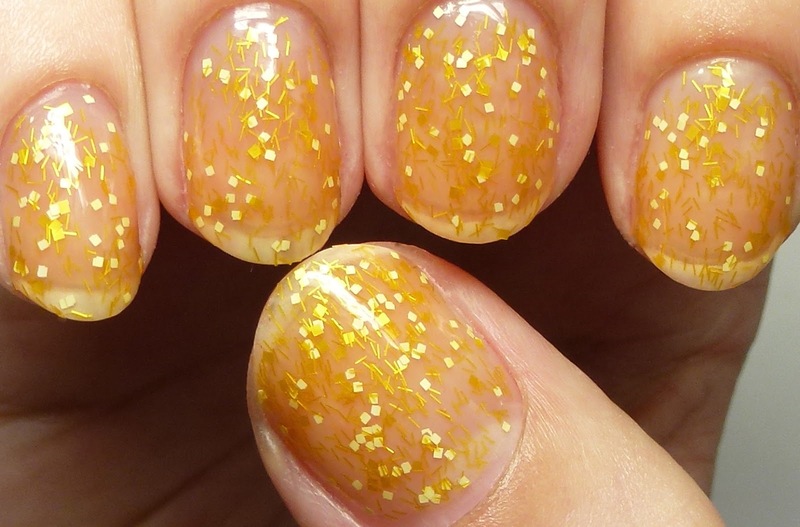 This has matte pale yellow and banana yellow square glitter and matte banana yellow micro bar glitter, again shown in four coats. 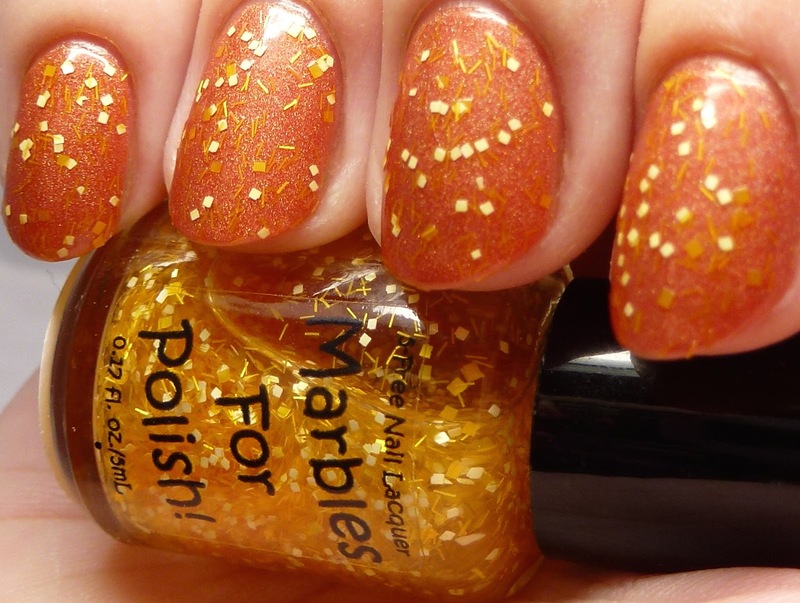 Here is two coats of Mimosa over Marbles For Polish Mandarin. 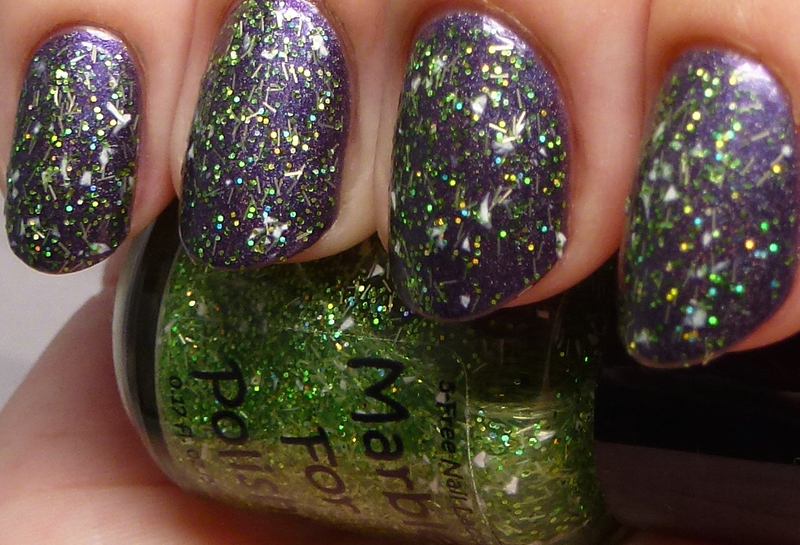 Overall the formulas worked great and dried quickly. 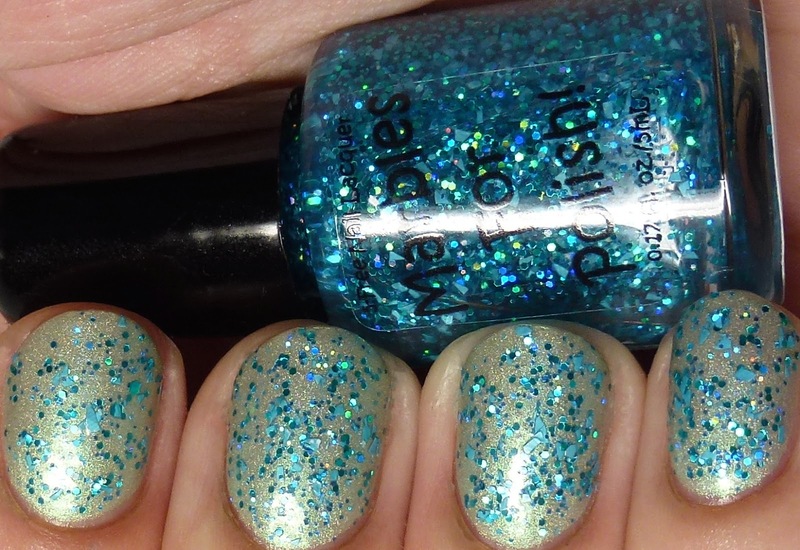 I think they pair particularly nicely with some of the holos from the brand so that's what you see here!